Green Tea has a long list of therapeutic benefits that have been enjoyed and appreciated by many over the years. While most people have heard about the extensive range of health benefits the Green tea offers, many are oblivious of the fact that Green tea is particularly beneficial to the skin and face. Because the relevance of Green tea to the face and skin is largely unknown, this article is dedicated to introducing you to the many exciting ways in which Green tea improves your skin and facial appearance. 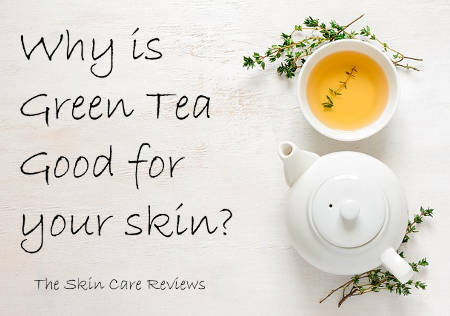 How is Green tea good for the skin? What are the benefits of Green tea to the skin? Is Green tea an anti-oxidant? How can Green tea be used for the face? What can a Green tea mask do? Is Green tea tonic suitable for the face? Green tea enjoys a reputation as an effective product for facial care and beautification and has been used for this purpose over the years. One of the reasons why Green tea is a potent anti-aging substance is because it contains high amounts of catechins which actively prevent rapid aging of the skin and delay the appearance of wrinkles and skin blemishes. The best part is that Green tea tonic and face masks offer an effective natural remedy for diverse skin diseases like acne for instance. Through the progression of this article, you would be informed on the many ways in which Green tea rejuvenates the face. What are the benefits of Green Tea for the Face? In recent times, there are many beauty products made with Green tea on sale. The staple for using Green tea in the treatment of skin is to drink it and benefit by its properties by topically applying skin care products that contain green tea such as green tea skin moisturizers or creams. Green tea is often combined with other ingredients to form potent skin care lotions. Actively reduces the chances of having skin disease: Green tea contains formidable antioxidants known as catechins which are potent fighters against the damaging effects of free radicals. These antioxidants play a crucial role in reducing biological reactions that could create skin cancer. Revitalizes the skin: Green tea is known to revitalize skin cells while giving users a much younger and glowing skin. Various investigations indicate that the application of green tea would give you a robust and supple look. Reduces swelling and soreness: Green tea is effective in reducing your chances of having swelling and soreness. It can also relax your skin in instances where you already have such cases. Owing to the antioxidants contained in green tea, your skin can become free from any form of bumps and roughness. Disinfects germs that cause dandruff: Green tea has the capacity to disinfect germs and other bacteria that are responsible for causing dandruff and other skin conditions. Is Green Tea an Antioxidant? As we have mentioned in previous paragraphs, the antioxidant properties of the Green tea exist due to the polyphenols which are mostly catechins. One of the main catechins of Green tea is the epigallocatechinsgalate (EGCG) which also functions as an anti-inflammatory agent. Green tea extract has also shown to be very effective in reducing the severity of the adverse effects of excessive exposure to the ultraviolet rays. What Can Green tea masks do? Moisturize and nourish the face: Green tea masks have moisturizing properties, helping the skin to be smooth. Protect the skin against negative external conditions: Due to its antioxidant properties, green tea masks can reduce and prevent skin damage that is caused by environmental and other skin deteriorating external factors. Keep skin clean: Green tea masks cleanse the skin and make it look bright and radiant. Is Green tea tonic good for the face? Green Tea tonic is very good for facial care due to the antioxidant, anti-microbial and anti-inflammatory properties of green tea. Of course, it always depends on the rest of the ingredients your tonic contains because what is the point of taking one or two potent natural ingredients and mixing them with a dozen of synthetic fillers and chemical preservatives that have proven to be harmful and irritating to the skin? If there are no harsh ingredients in a green tea tonic, it can be excellent for sensitive skin types as well. Due to the properties we have mentioned above, green tea tonic is also great for oily, combination and prone to acne complexions. To conclude, Green tea offers a long list of therapeutic benefits that enhance health and overall well being. In addition to handling a variety of health conditions, Green tea offers an excellent healing solution to relieve various skin conditions and therefore it is a powerful remedy.